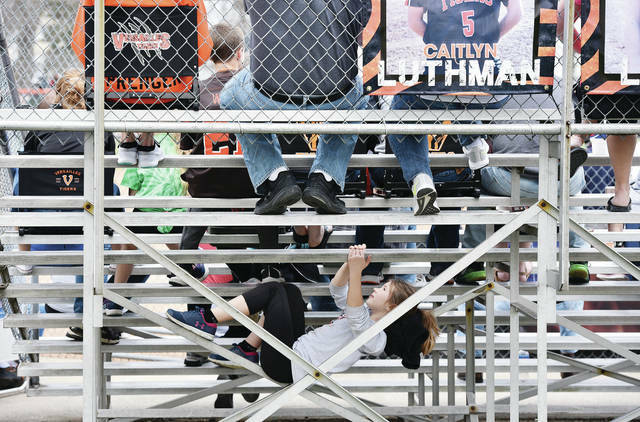 Gracyn Beasley, 9, of Versailles, daughter of Jeff and Jodi Beasley, hangs out under the bleachers at her sister, Gabriella Beasley’s, Versailles softball game against Bradford. The game was held at Versailles Saturday, April 6. Beasley played shortstop for the game.